Lightly-tinted moisturizer provides an all-day sheer wash of colour. Natural, light-diffusing Iron Oxides provide translucent colour for radiant-skin, while Broad Spectrum sunscreens shield against damaging UV rays. Hydrolyzed Pearl amino acids, hydrating Hyaluronic Acid and antioxidant Walnut Seed extracts help improve skin texture and reduce the appearance of fine dehydation lines. Formulated without artificial fragrances and colours. I love this product as it feels light and smooth on my skin and takes care of my needs. 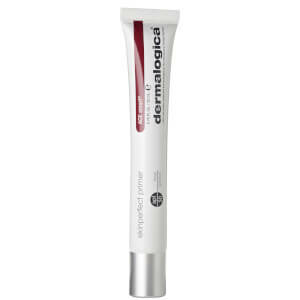 It moisturises, protects my skin, gives a natural colour which hides blemishes and is easy to apply. It gives me the desired look and my skin feels free of heavy base.